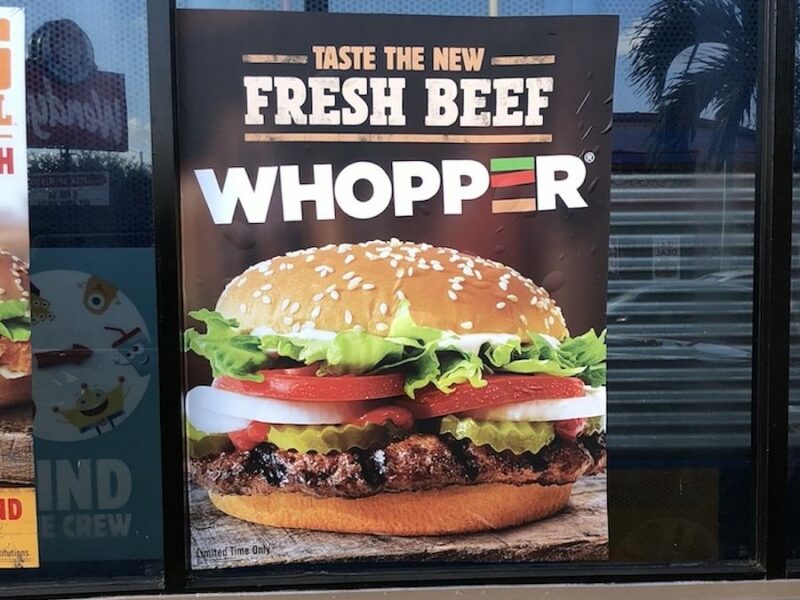 Last December I told you about the new fresh beef Quarter Pounders from McDonald’s but I had no clue Burger King was also testing out fresh patties for their Whopper. Right across the street from where my Burger Museum is located there is Burger King. I pulled into the lot around the front of the building to get some of the new crispy chicken tenders at the drive-thru when I encounter a poster mentioning a new fresh beef Whopper. When paying for the tenders I ask the fella about the poster and he was totally clueless about it. As I’m driving home I think about and decide to head to the corporate Burger King location near their headquarters (it’s a few blocks from my home). I take a drive around the outer perimeter of the drive-thru but but see no signage touting it. Now I’m fully committed to finding out more about it. After a quick internet search I encounter nothing. This adventure ends up taking me to five more locations en route to Westchester where I finally find the BK on Bird Road and 117th Avenue with the poster I’m looking for. I order a Whopper with only cheese, mayo and ketchup and another exactly as it comes for whichever one of my parents might be interested in it. I ask the fella in the window about the fresh beef Whopper and he tells me that they’ve been selling them that way for a while but only recently began to mention it publicly. I park in the Burger King lot and open up my wrapped fresh beef Whopper to find a patty that looks a bit thicker than a regular one. A feeling of nostalgia comes over me when I hold and then bite into it. I remember when I could barely hold a BK Double Cheeseburger as a kid. We were a Burger King household growing up and my Mom was and still is one of the world’s biggest Whopper fans. 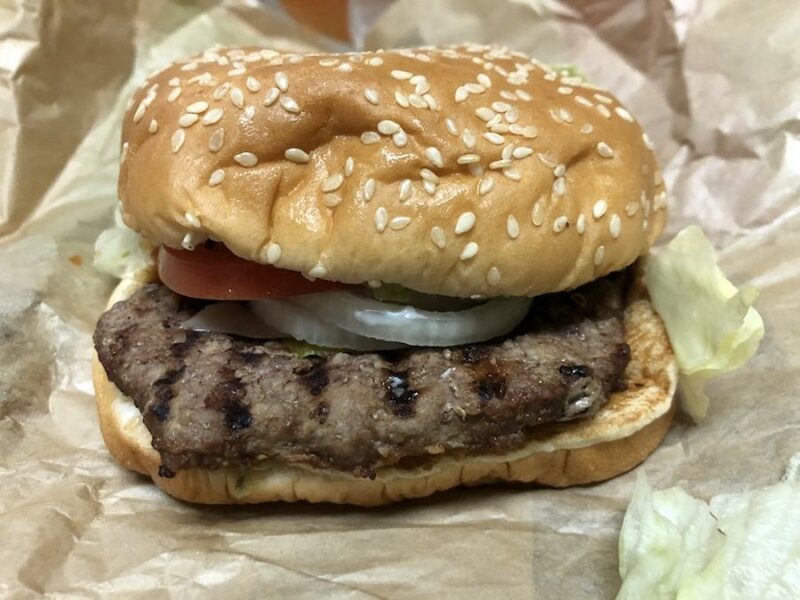 It had all the right flavor notes of a Whopper but seemed to be missing the very pronounced flame-grilled taste that makes Burger King who they are. I liked it but I have a feeling this was a little off so I’m hoping give it another go again in a few days. 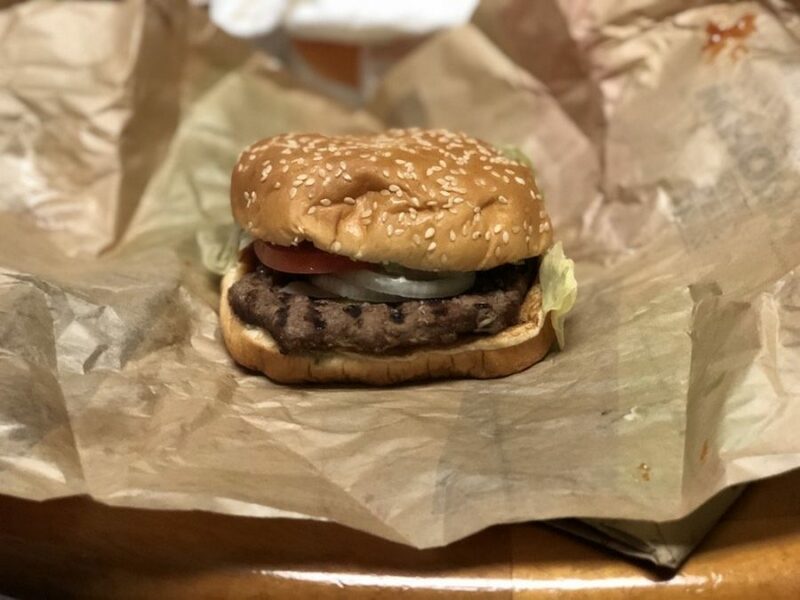 My parents split their Whopper and both loved it even though I forgot to get cheese on it. Hey, you can’t win ’em all.